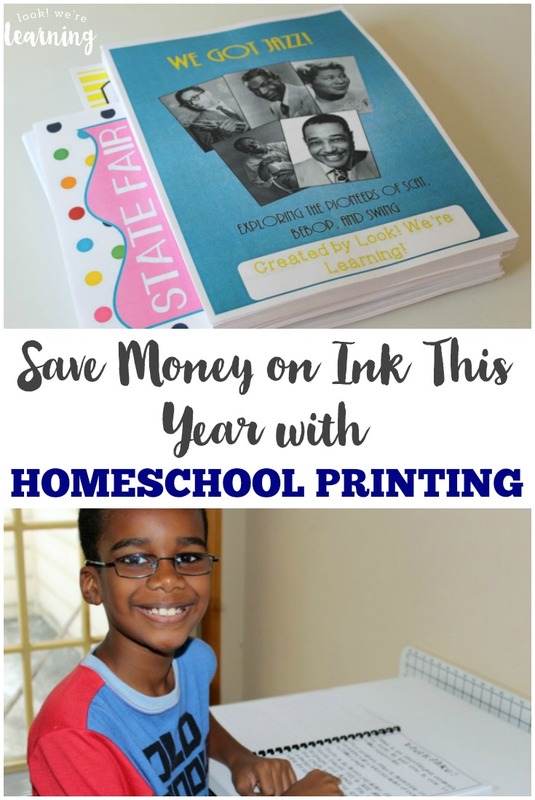 Save Money on Ink with a Homeschool Printing Service! - Look! We're Learning! 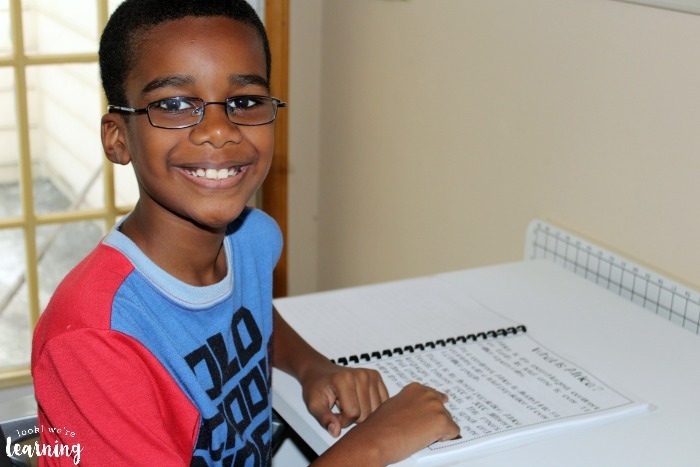 Save Money on Ink with a Homeschool Printing Service! 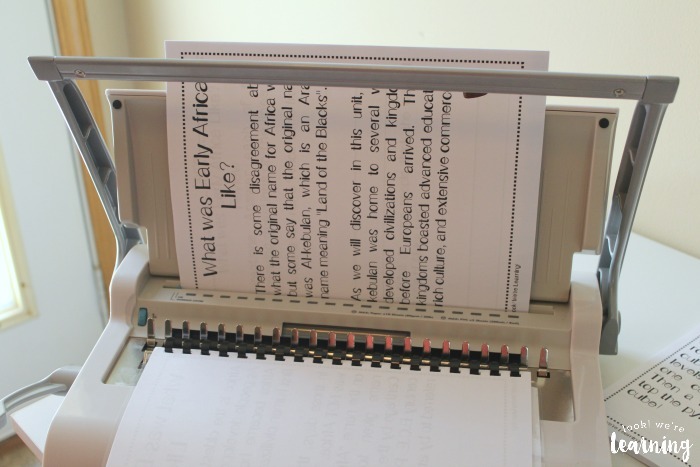 How many printers have you gone through during your homeschooling journey? We’re on number three. There’s no doubt that homeschoolers use a lot of printer ink. And when I say a lot, I mean a LOT. I finally just set up a subscription ink service because I got tired of always running out…lol. And, since I both use and make printables for homeschoolers, I go through even more printer ink and paper than normal. 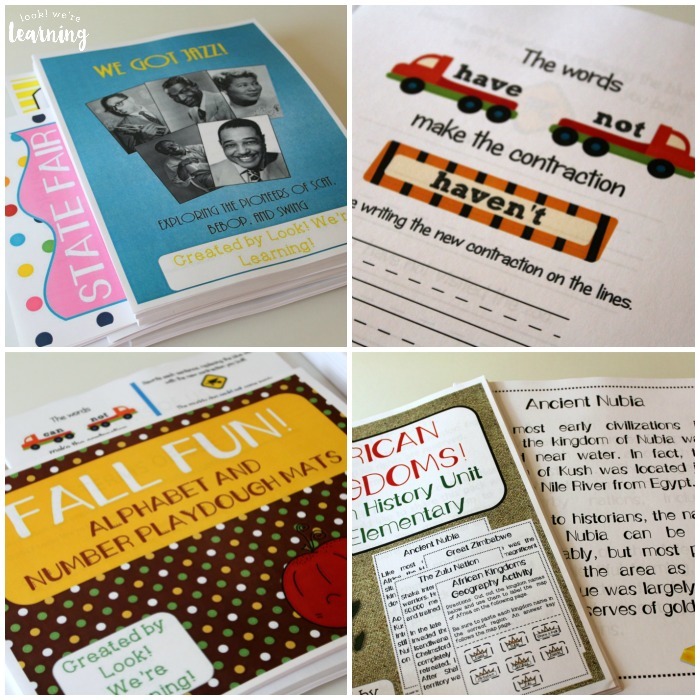 Which is why I was so excited to try the homeschool printing service from The Homeschool Printing Company! If you use a lot of printer ink (and I’m sure you do), you’ll want to read on to learn more about how you can save money on ink this year and save yourself a lot of preparation time in the process! By the way, to give you an idea of just how affordable this service really is, I’m sharing my actual estimates for each product I had printed. You won’t believe how inexpensive they are! Disclosure: I received this service in exchange for this post and I was compensated for my time. All opinions are my own and I was not required to write a positive review. As I mentioned earlier, a lot of homeschoolers use a ton of printer ink. If you haven’t noticed, printer ink is among the most expensive liquids on earth. Think about it: We pay about $2 to $3 for a gallon of gas and when it gets much higher than that, we all start shouting about how gas is too expensive. But we’ll pay $30 or more for three ounces of printer ink without batting an eye. That says something about how much we actually spend in printer ink. Public school educators go through a lot of printed materials each year and, increasingly, they have to cover some of those costs themselves. And for homeschoolers, it’s no different. Except we have to pay for everything out of pocket. 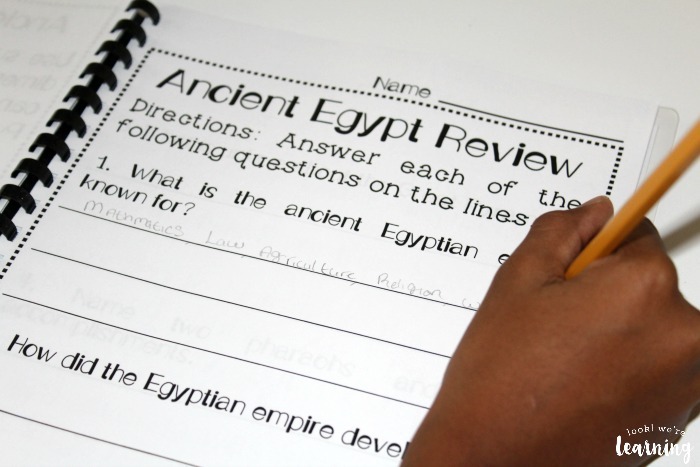 If you’ve got several children in different grade levels (like we do), then your printed homeschool curriculum can cost you a pretty penny each year. 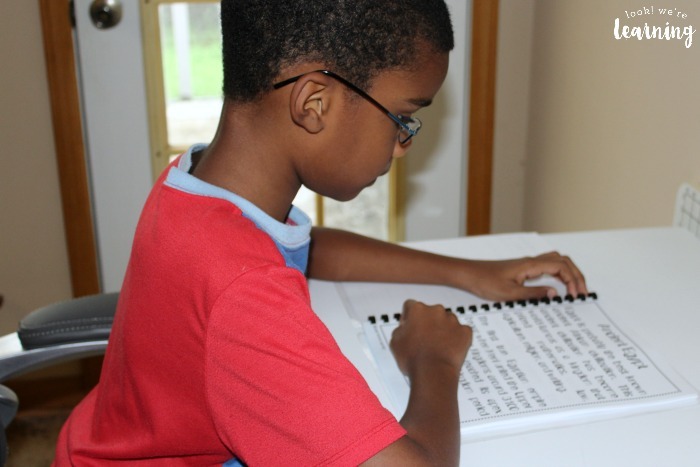 So what makes the service from The Homeschool Printing Company so incredible? They do all the printing for you! They provide the paper, the color and black ink, and the work that goes into printing them. 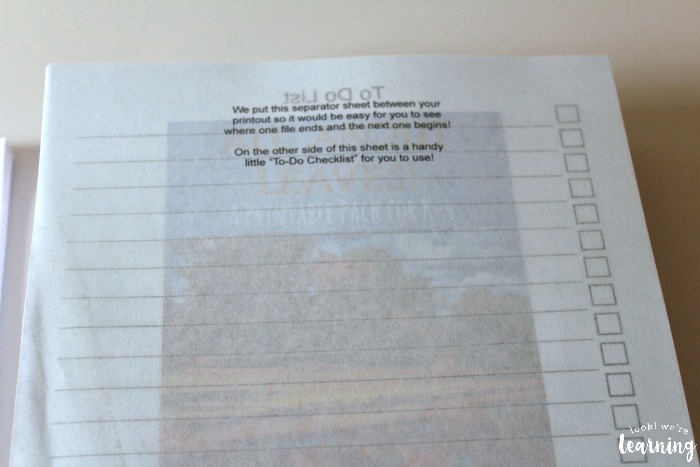 All you have to do is send in the PDF files you want printed and they’ll do the rest. Want your documents printed double-sided? They’ll do that. Want your documents spiral-bound? They’ll do that. Need some pages laminated? They can do that too! I chose to have several of my store products printed, since we’ll be using some of them with the kids this year. As you can see, you receive all of your documents from The Homeschool Printing Company in one shipment. My entire order was for 500 sheets – one whole ream of paper. 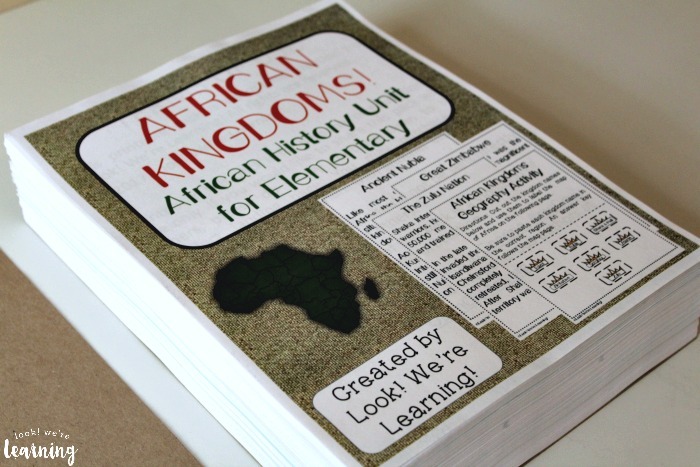 This is a look at my African Kingdoms Unit Study, which is designed for elementary grades. This unit study is 61 pages long. I chose to have my pages printed one-sided, because some of them include cut and paste activities. But if you decide to have your products printed double-sided, then you can really maximize your order and get twice as much printed. I also chose not to have anything laminated or spiral-bound. I wanted to do that myself (which I’ll talk more about in a bit). As I mentioned, all of the products come in one stack, but this handy-dandy separator sheet is in between each individual item. I used the to-do list on the back to keep up with what I needed to do with each product. 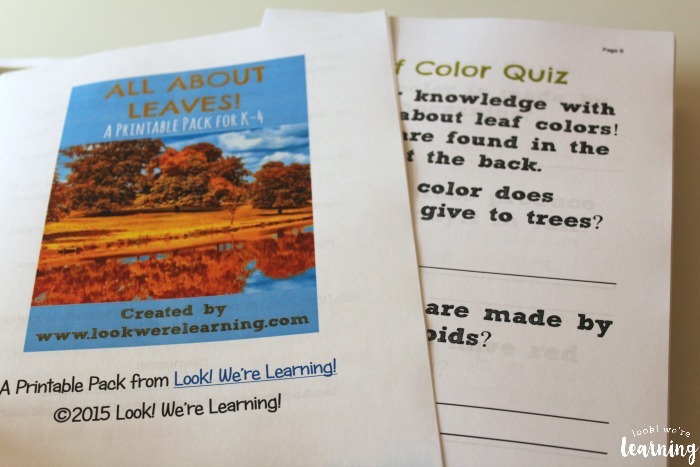 This is my All About Leaves printable unit study – 30 pages long. 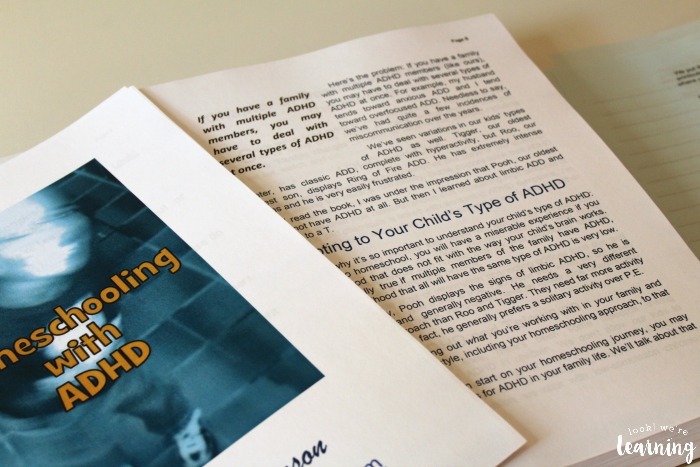 This is my ebook “Homeschooling with ADHD” – 67 pages long. 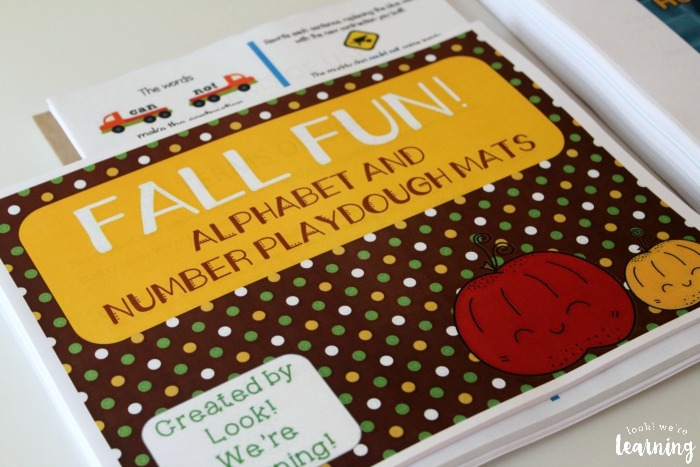 Here are my Fall Alphabet and Number Playdough Mats – 41 pages. 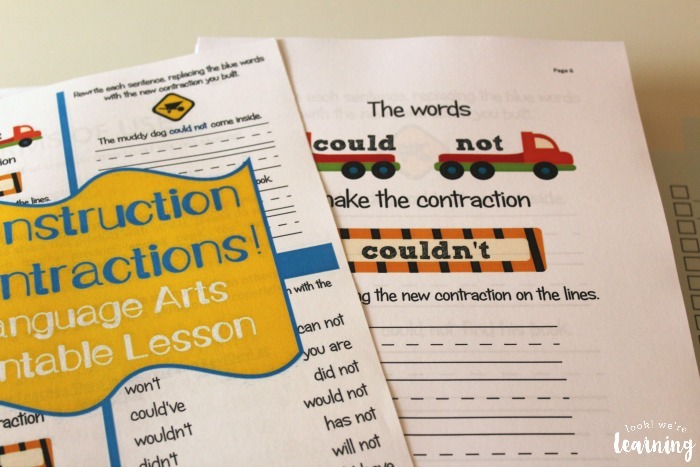 Our Construction Contractions Language Arts Unit – 68 pages long. 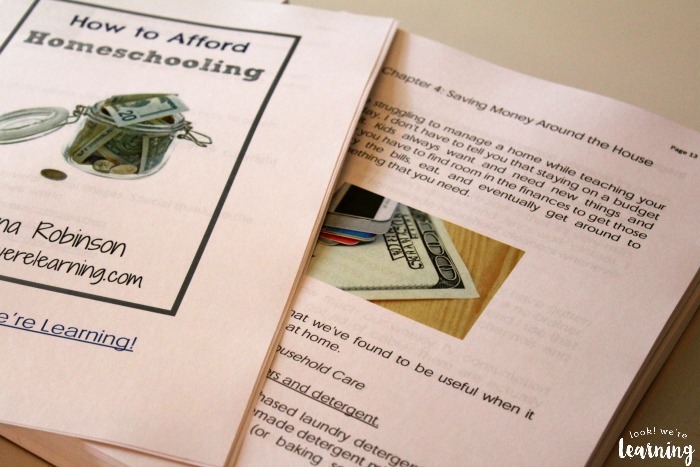 Our ebook “How to Afford Homeschooling” – 24 pages long. 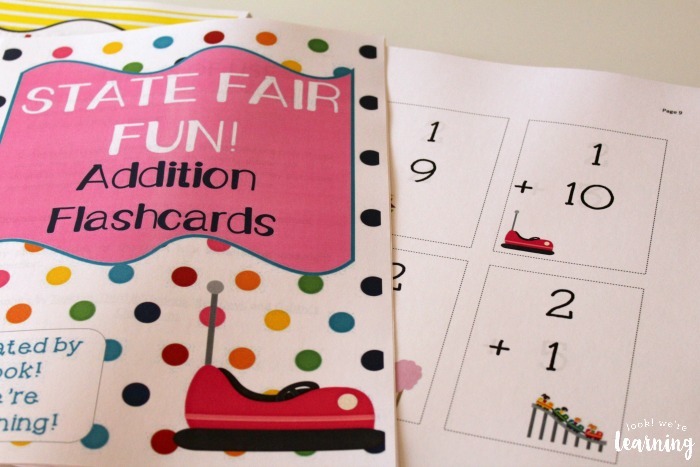 Our Amusement Park Addition Flashcards – 42 pages long. 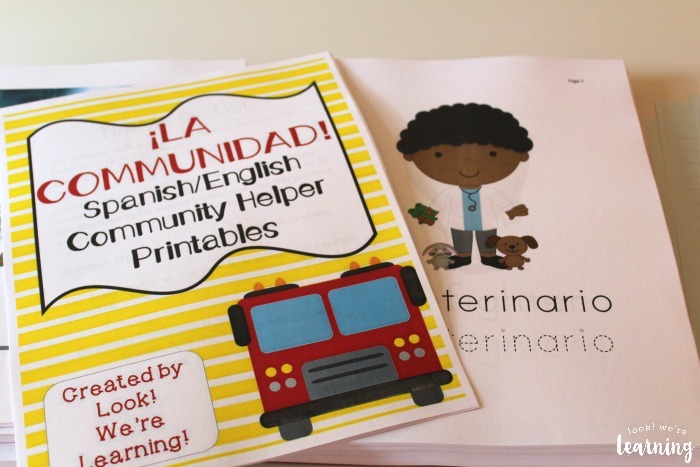 Our Spanish Community Helpers Printable Pack – 33 pages. 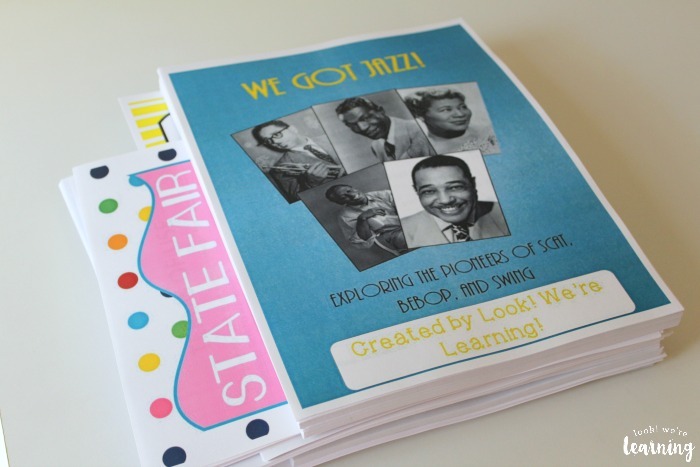 And our We Got Jazz Unit Study – 139 pages long. The grand total to have all of the resources printed in color: $40.40 plus $10.75 shipping. That’s it! When I got the estimate, I was honestly shocked. I was expecting it to be way, way, way higher. When you place a request with The Homeschool Printing Company, the normal turnaround time after you get your estimate is two to three days. During peak homeschool planning season (July through September), it could take up to a week, but they’ll get back to you! Since I opted not to have my pages bound, I had to do it myself for select products. But that’s okay, because it gives me a chance to use this beauty. 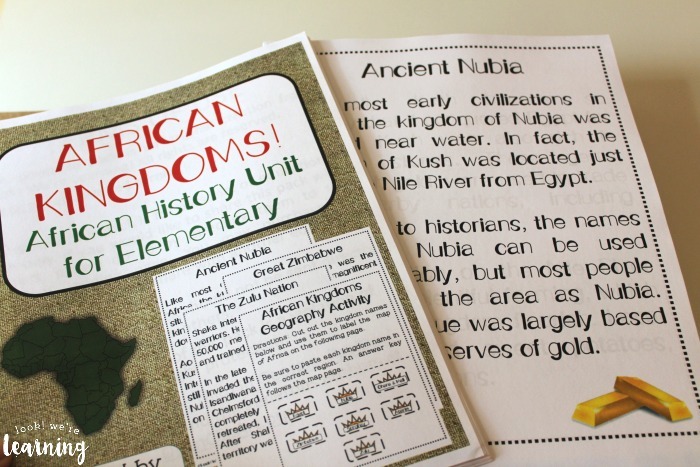 And then we could get to work with our African Kingdoms unit! 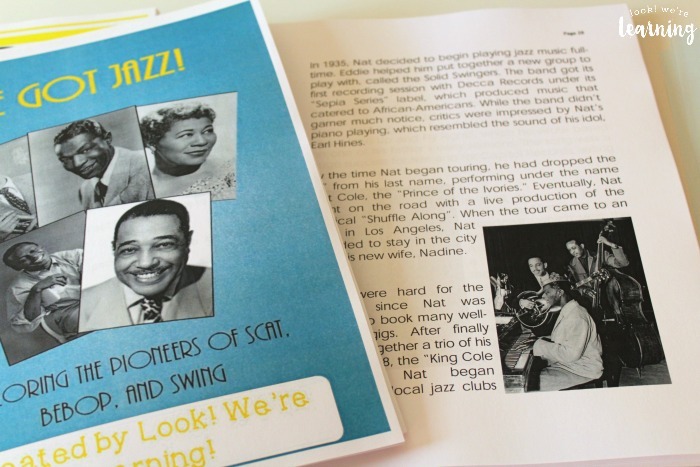 As you can see, the pages are printed clearly and cleanly, so there are no readability issues. Looks like this service is going to be a big hit! Interested in learning more? Visit The Homeschool Printing Company today and request a free estimate! If you decide to place an order, tell them Selena from Look! We’re Learning! referred you and get a 10 percent discount on your first order! 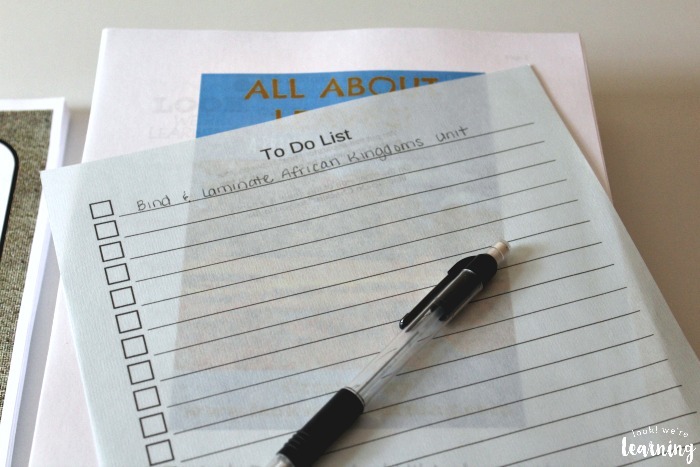 Get more tips for organizing your homeschool on my Homeschool Organization Pinterest board!